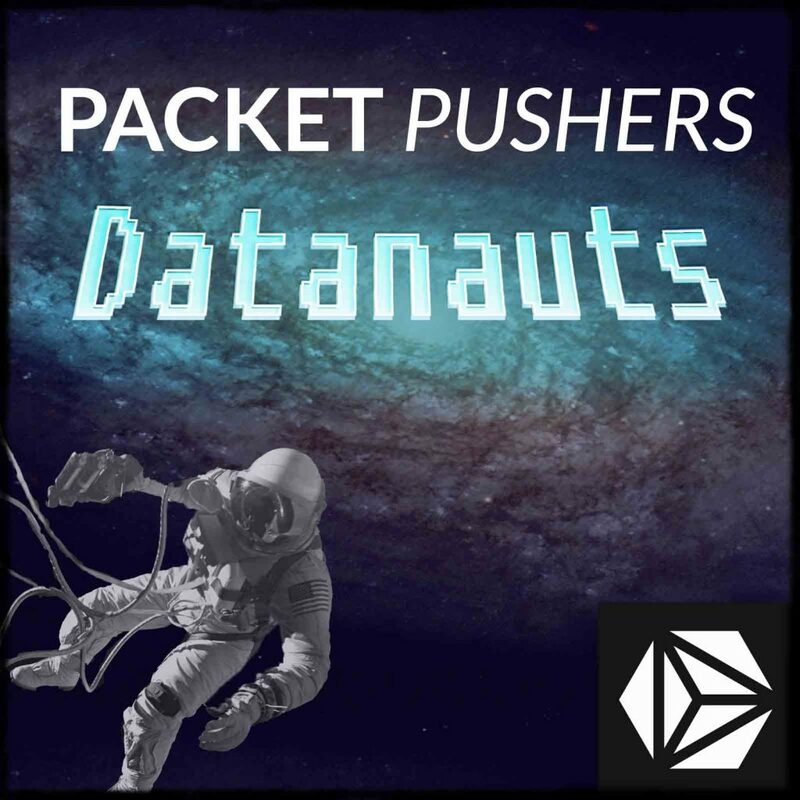 You are here: Home / Podcast / Datanauts 027: What Is A Cloud-Native Application? The funny thing about clouds is that not everything is designed to be up there. Birds, sure. They have wings, and can soar among the clouds. Airplanes? You bet…they have powerful engines meant to be up high. But legacy applications? Not so much. Moving an app as-is to public IaaS or private cloud doesn’t mean it’s going to function as hoped for in the cloud environment. So, what does it mean for an application to be “cloud-native”? Our guest Tony Bourke is going to help the Datanauts understand the fundamentals of applications designed to live in the cloud. Tony is a Cisco-certified IT instructor and he blogs at The Data Center Overlords. What happens when we want to scale out this infrastructure? Why is it a problem when we take an app with this design and move it to cloud infrastructure? What defines the older-style applications? What are characteristics of a “cloud-native” application? What changes need to be made to an application to become cloud native? Now what happens when we need to scale out to service incoming requests? How do we retool applications to become cloud-native? Do we even need to? How do we evaluate that? Operational impact – what’s it like to be an infrastructure engineer in a cloud-native environment? Very good show with another knowledgeable guest. As is often the case, each of the main points could have a full show devoted to it. Some comments. Around 16:03 in the discussion about containers, Tony says that VMs are lightweight, disposable when he clearly means containers. Everyone makes mistakes, but didn’t want anyone to be confused. 18:07 there’s a discussion of microservices where containers are mentioned, interspersed with microservices. A microservice doesn’t depend on containers in case that’s not clear. 19:00 the discussion of microservices continues. One concept that got omitted (you can’t cover every little detail) is that the back end database is generally broken up into persistent stores for each microservice. If microservice 1 wants data stored under the control of microservice 2, if makes a call to microservice 2’s API. Microservice 1 doesn’t access the other database directly. 21:00 there’s discussion that includes distributed databases. It’s beyond the scope of what the show is trying to get at, but it’s important to understand, especially for this networking centric audience, that distributed databases have issues with consistency and availability because network disruptions are inevitable. These interruptions are called “partitions” in distributed systems jargon. See also discussions of CAP theorem and the Jepsen “Call Me Maybe” studies that test whether distributed databases can be relied on. 22:30 the discussion about presumably large scale changes with a low confidence of success and high cost of failure. Just to mention that Gene Kim and others say that this means that a better approach is small, frequent changes, allowing easy roll back. Sometimes terms used are “fast fail” or fast feedback loops. 24:00 the architecture of the business application is discussed. One thing not mentioned is the practice of pulling most/all the static content out of the app and serving it from a CDN. 30:00 there’s discussion of whether all business apps need to be recast into cloud native. A couple of points to consider is whether, even with a brand new app, there aren’t data dependencies parked in some legacy monolithic app, which may be (horror) ERP based with no exposed API. Often even the worst of business apps can be dealt with over time using something like Martin Fowler’s “strangler” pattern, redeveloping outputs one by one into replacement, smaller business apps until the base app can be discarded. 30:15 Private infrastructure, vSphere, static workloads. You have to ask if your IT infrastructure is sufficiently responsive to emerging business needs. Maybe the workloads are static because the infra is so unresponsive that development can’t put up new business apps to support the business or they’ve given up trying to get resources. What is the business people say we need to do some brand new business analytics. Development thinks this will take 1,000 cores for a reasonable test using real world data. Do the IT infra people say, “Sure, come back in 4 months.”? Last general comment is the emerging use of serverless applications, with another iteration of application architecture. No compute/storage infrastructure at all, in the usual sense, in this context. As to 16:03, yup, I clearly meant containers. I’m sure in my mind I said containers, but clearly said VM. 18:07: At some point (I listened to the entire episode on the subway) I did mention that containers aren’t required to micro services, mentioning Netflix as an example. 19:00 Yup, it’s of course a struggle to get every detail in. And this was an on-the-fly conversation, rather than a prepared talk. But I agree totally. 21:00 Agree. It’s a huge topic. I tried to keep it to just essentials. 22:30 I loved Gene Kim’s comment because it relates so highly to networking. Another aspect of it is we make small, frequent changes, and do so in an automated way. Networking change control windows are often just small changes, but we make mistakes and don’t trust the process, so we have a gigantic. If we automated network changes, and had better segmentation (tenancy), we could shrink the failure domain (smaller cost of failure). If we made automated changes that worked 100 times in a row, we’d have a higher confidence of success. 24:00 A great strategy, but a bit orthogonal to cloud-native I think. Well, maybe related. 30:00 Yeah, that’s a big issue there. One to certainly consider. 30:15 We’re starting to see glimmers of hope there. OpenStack (in an easier to consume way than running it yourself, like Metapod and Platform9), as well as other solutions. I consider VMware at this point a legacy platform because of that.